Steal from the poor, give to the rich: how one man was celebrated for stealing from the Inuit. So many lives ruined, all because one man wanted fame. 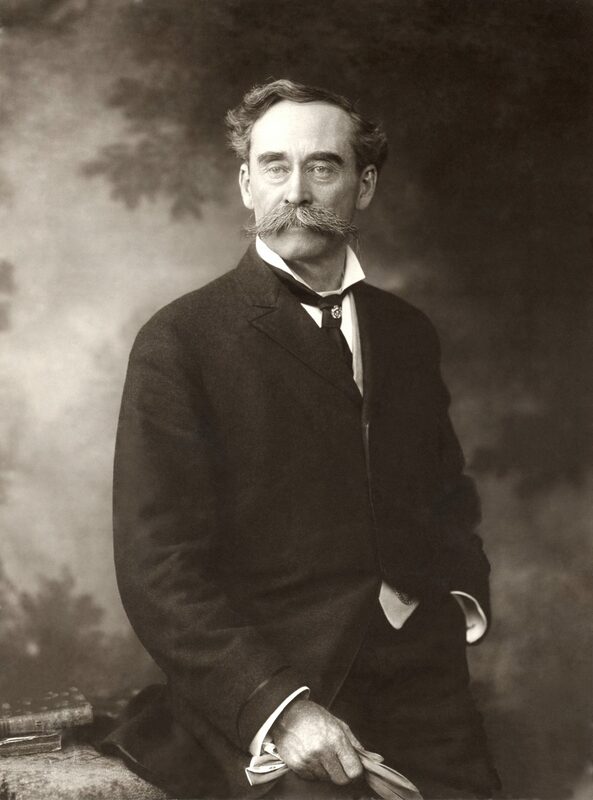 In 1894, explorer Robert Peary was on the hunt for fame. In 1894, explorer Robert Peary was on the hunt for fame. He had tried and failed to journey to the North Pole, and eventually discovered a new path he could take. He decided to take meteorites from Inuits in Greenland and bring them back to New York City. While Peary was successful in his suspect goal, he also stole culturally significant artefacts and tore apart Inuit families in his quest for fame. Who doesn’t love a good adventure story? Someone brave enough to take a look around and think, I need to go see what’s there, dangers be damned! For years, he would sail north with a crew, using sleds and dog teams to inch ever closer toward his goal. Their first trip to Greenland was in 1891. This would have been Peary’s second or third trip north, with his first taking place in 1886. During the 1891 trip, they traveled by dogsled into the northeastern region of Greenland, surveying the territory and gaining information that would help plot later trips. 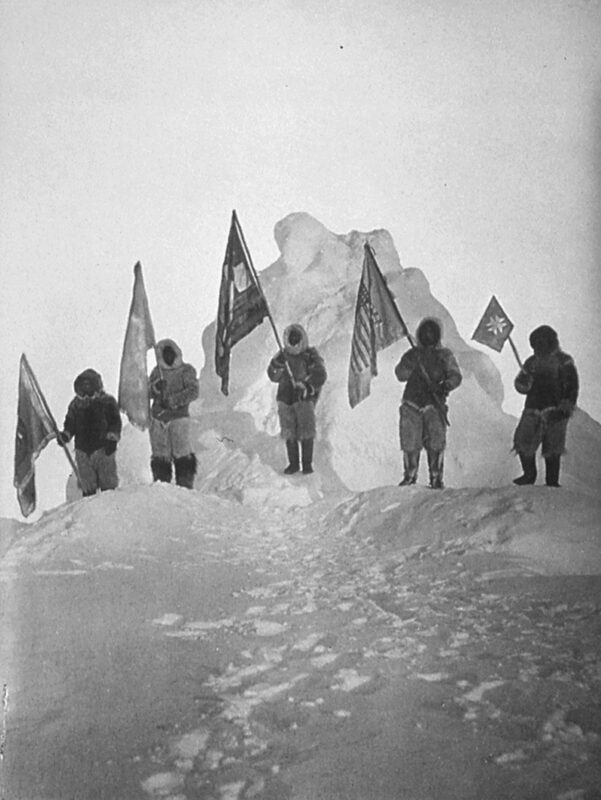 By 1906, they were within 150 miles or so from the North Pole, thanks to their repeated efforts, improving information and their skilled guides. 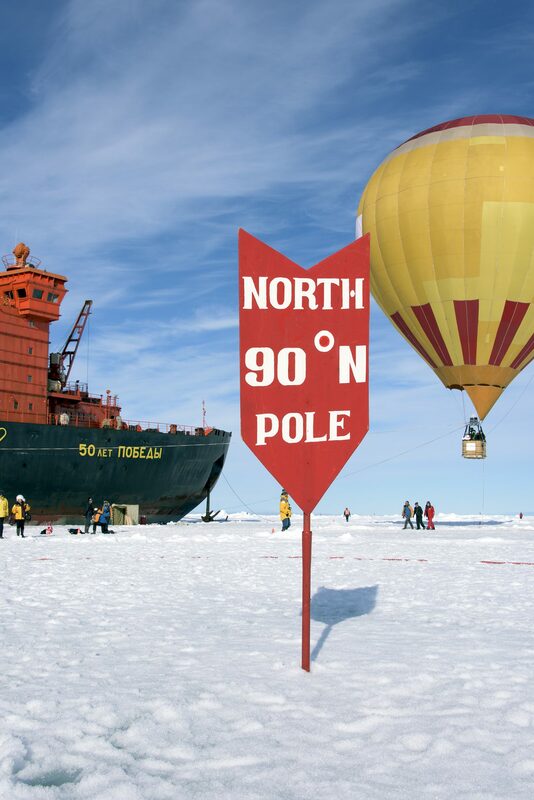 Peary claimed he was the first person to ever reach the North Pole in April 1909, a claim that later came under dispute (more on that in a bit). The New York Times and other major papers of the day lauded his accomplishments on front pages, calling him a hero and great explorer, a brave man who achieved something few would even dare to dream about in that time. 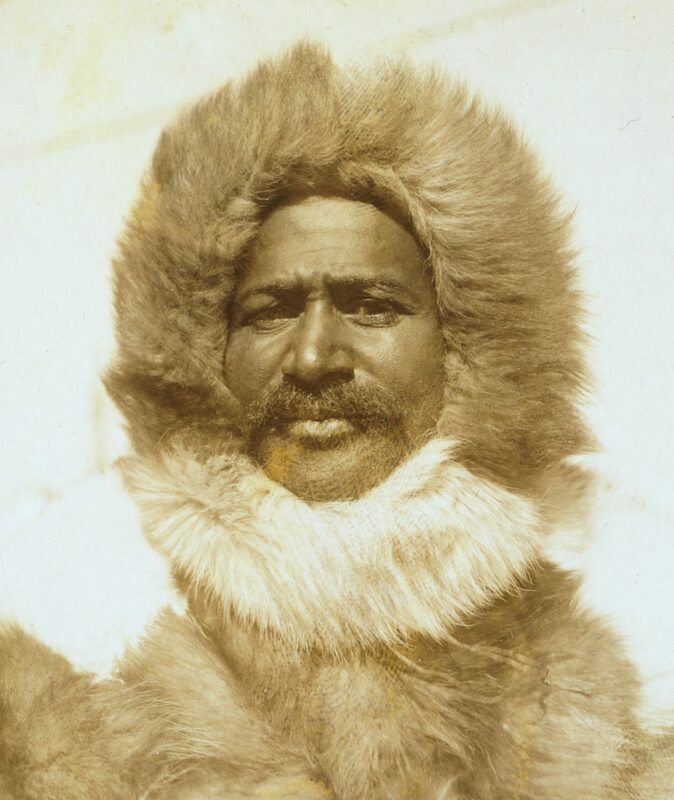 It might be a quibbling point but some say Matthew Henson got there first, just ahead of Peary, but because he was an African American man, no one would give him credit. By some accounts, when Peary planted the American flag, Henson let out and started a spontaneous cheer. 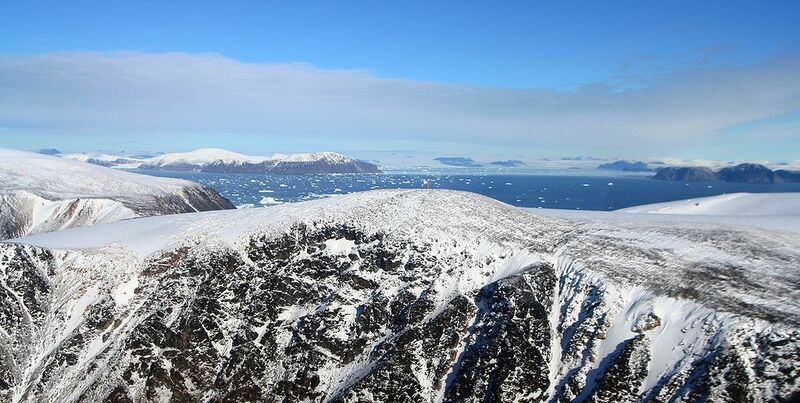 The trip was not an easy one, with both men reportedly falling through broken or weak ice and into the frigid water. While it took more than a month to get out to the pole on that trip in 1909, they made quick work of the return to camp, arriving in just 17 days. They were not able to sail south for home until July, having to wait until the ice had melted to allow for safer and easier passage. But let’s take a look at the forgotten, or lesser known, legacy of Peary and Henson’s visits to Greenland and their time with the Inuit people. Surrounding the Woman and Dog meteorites were hammer stones, which the Inuit would use to chip away at the ore to get tips for their knives, spears and other tools. 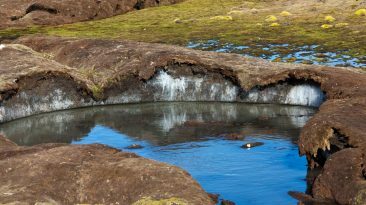 This had been the only source of something akin to metal for thousands and thousands of years, although by this time there was a small trade circuit between the Inuit and those explorers making their way across Greenland. 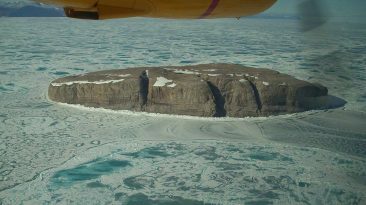 Peary saw a large opportunity within these clusters of rock, which, according to Inuit folklore, had been placed there by the gods. 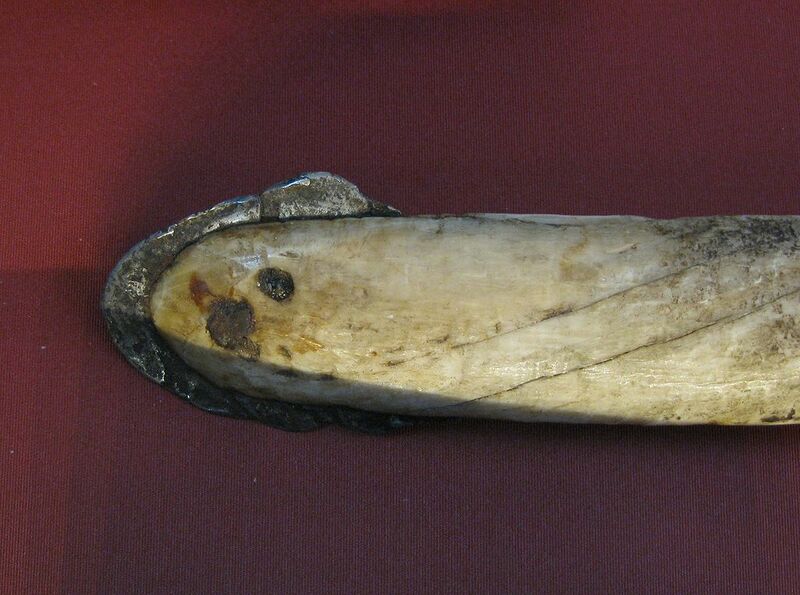 He gave his Inuit guide a gun as payment for the trip to the rocks and then set about devising a plan to remove them. 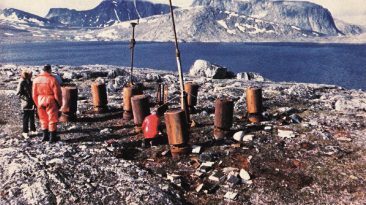 Some reports say the first non-Inuit to learn of the existence of the meteorites was explorer John Ross in 1818 but the Inuits refused to tell him where they were or what they really were; he was suspicious when he saw what appeared to be metal points on their harpoons and knives. Never once did Peary discuss the significance of the meteorites with the Inuit. He never asked about their heritage or role or whether they had any special meaning or level of importance. He just decided he wanted them and that was that. The Woman was claimed first; the Dog was unearthed later that year on the same trip. He used his Inuit crew to pull the oversized rocks from their centuries-old resting place, transport them to his boat and load them on. At various times the rocks were nearly lost to the sea while being floated on ice, but they were secured. Now with two gaping holes in the ground and little room left on his ship, Peary and Henson left with their ill-gotten treasure to sail south promising to return and reclaim what they assumed was theirs to take. In 1896, Peary and Henson returned with a bigger ship, the Hope, and a few other passengers onboard, prepared for the daunting task ahead. 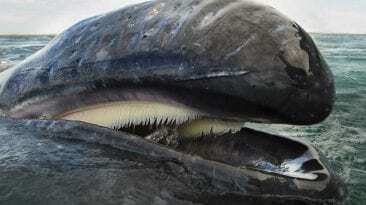 They had their eyes set, and mouths drooling, on the Tent, believed to weigh about 31 tons. 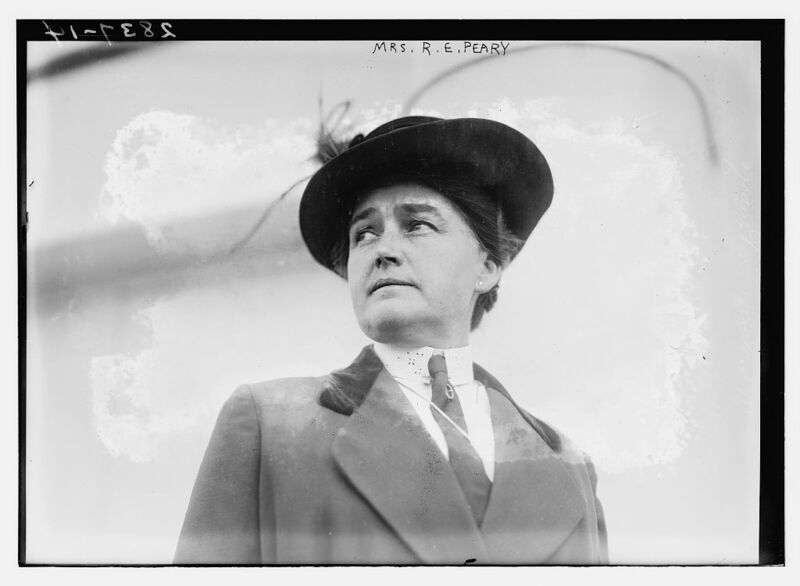 (The Woman and the Dog weighed 2.5 tons and half a ton, respectively.) 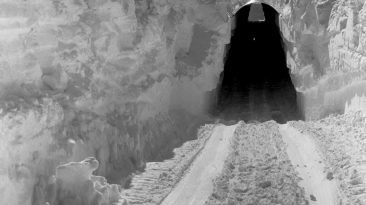 This would be a great undertaking and would require the construction of Greenland’s only railway to complete. Some claim the meteorite was a “bonus,” that Peary’s single focus remained on reaching the North Pole. But commissioning a 370 ton steamer ship and securing the right kinds of materials to make reaching, unearthing, transporting and securing such an incredibly big and heavy meteorite suggests otherwise. As work progressed on extricating the Tent from the frozen ground, Peary did have another objective on the 1896 trip. He’d been asked by the American Museum of Natural History to bring back some artifacts from the Inuit. He was request to bring the usual kind of things: clothes, tools, items that would have been found in their habitats, that sort of thing. Peary and his crew returned in 1897, bound and determined to get that godforsaken rock. This time his family was with him, including his wife Josephine and their young daughter Marie. The Hope was anchored as close as possible to the shore of the tiny island that was home to the meteorite, Saiksoah. Peary reportedly called the Tent the “Saviksoah Demon” due to the terrific fight needed to extricate it. The total distance between the rock and the ship was some 300 feet. Chains were used to nudge and pull and rip the stone out and drag it across the ice and snow. 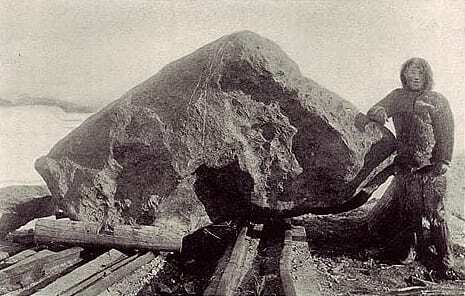 The craggy, misshapen rock finally was loaded onto the Hope, though some of the Inuit tasked with moving the rock and helping to operate the several multi-ton cranes used to hoist it onto the ship took many steps away from the vessel, convinced it would sink under its weight. With the Tent secured and as people cheered, an American flag was draped across the rock while Marie Peary christened it Ahnighito, giving it her middle name and the name of an Inuit woman who sewed her a fur snowsuit several years prior. Three vitally important pieces of their culture and history removed, Peary then announced there were a few other pieces of treasure he needed to bring back to the United States for the sake of research and cultural significance. Apparently the fur and tools Peary provided to the museum the year before weren’t quite enough to really get a sense of the Inuit people. This time, anthropologist Franz Boas asked him to bring back people. Boas asked for only one, an ideal Inuit specimen for study and learn from; Peary figured if one was good, six would be outstanding. When the Hope set sail from Greenland with the great rock, Peary’s family and others aboard, it also departed with a man named Qisuk, his young son Minik; a man named Atangana with his wife and daughter; and a third man, Uisaakassak. Peary is reported to have promised them a paradise of goods, including warm homes, tools, guns, knives and other treasures. He told them they’d stay for a year and then would be returned home and reunited with their people. Peary, remember, might have been among the first Caucasian men many Inuit in this part of Greenland had met. Henson was undoubtedly among the first black faces they’d ever seen. They spoke little, if any, English. Their entire existence had been among their people in Greenland. But with the promise of such wonders, away they went. When the ship arrived in New York several months later, it was to great fanfare, both to see the humongous stone and to see these unfamiliar, foreign faces. Peary, ever the businessman, welcomed visitors onto the boat, charging them a quarter apiece to see the human cargo. Some 20,000 people went aboard. Days later, they were transported to the museum, where they would live in a basement near the Arctic exhibit. That’s when things went downhill very quickly. 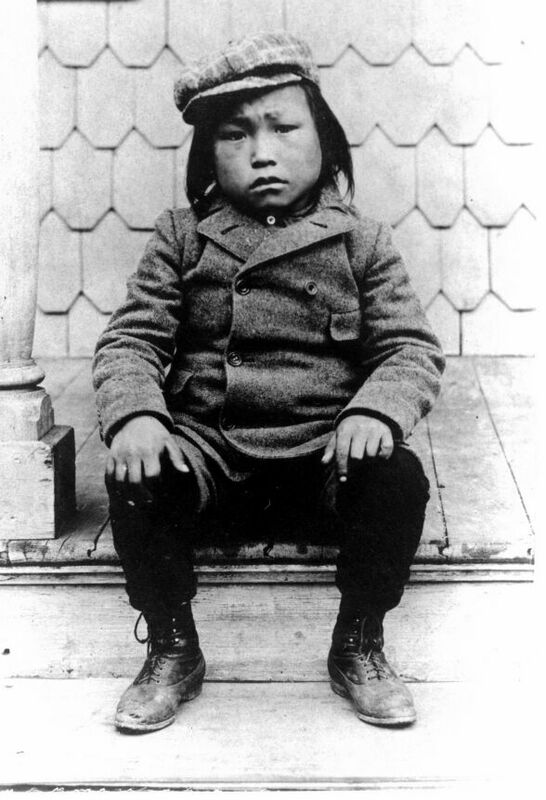 Within a year, most of the Inuit, including Minik’s father, had died. He was left alone, a stranger in a strange city surrounded by artifacts. 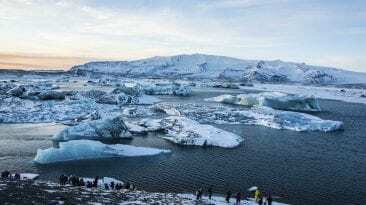 One surviving adult was sent back to Greenland the next year. Heartbroken over his father’s death (his mother had died prior to their trip), the museum’s staff wrapped a log in furs, telling the boy it was his father, and staged a burial. He didn’t learn until much later that his father’s remains were within the museum’s archives. The bodies of those who died were sent to Bellevue Hospital to be dissected, stripped of their flesh and stored. Minik in New York City, 1897. 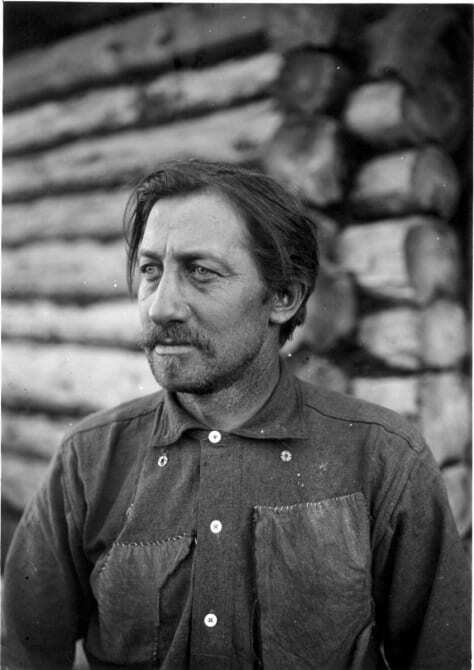 Minik fought for years to have his father’s remains returned to their homeland, something that didn’t happen until 1997, under a plaque that reads “They have come home.” Minik, who eventually was allowed to go back to Greenland in 1909 when Peary feared the boy’s story would get out and it would tarnish his stellar reputation, later grew homesick for the bright, busy lights of the city, died in New Hampshire in 1918 during the Spanish flu pandemic at the age of 27 or 28. He was far from the only child to suffer from Peary’s expeditions. 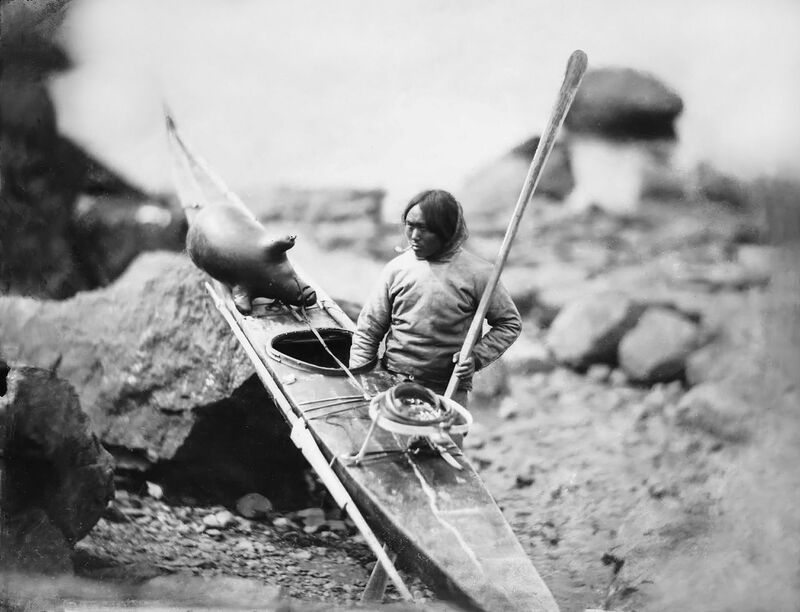 During their repeated treks to Greenland and the time spent among the Inuit, Peary and Henson made some close relationships with a select few. This makes sense: They were working closely to achieve a shared goal and were likely paying the Inuit for their services in some way, shape or form. He’s praised for keeping the families together, hiring men and bringing their wives along when they went to establish a camp as they made further advances toward the pole. 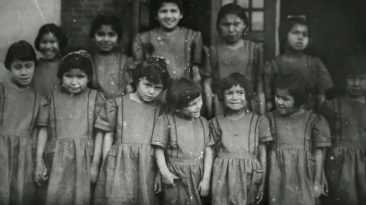 The men would scout locations and help establish a series of lodgings for subsequent trips; the women would make food and clothing and raise the children and they’d all return to their village together after the work was done. There are stories detailing Peary’s assumption of a role among the Inuit of a kind of leader or overseer. He also seems to have participated, or glossed over and jumped into, a community practice of sleeping with any woman he wanted, regardless of whether she was married. The Inuit reportedly had a practice in which men would trade wives from time to time in a kind of square-shaped relationship; Peary made no inquiry into whether the woman he chose to bed was already spoken for or beholden to any other man. It mattered not to him. It was also noted that, during trips when Peary’s wife and child accompanied him, his American wife and his Inuit “wife” were introduced. They met and knew each other. And despite the wife-trading practices, Peary did not make his wife, Josephine, available to the Inuit men. He was unapologetic about his son in Greenland, named Kaala. Henson, to a lesser extent, is equally guilt of this. Both men were married, both had children at home with those wives. 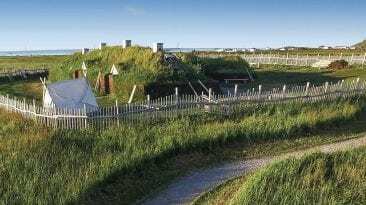 And both fathered children by Inuit women while they were in Greenland, living with these makeshift families during their travels. But after the meteorites had been secured and the North Pole reached, they left Greenland, and their children, behind, never to return. saw another man with the same dark skin and curly hair as him and assumed the two were related. He recounted how he felt isolated among the Inuit for his dark complexion. 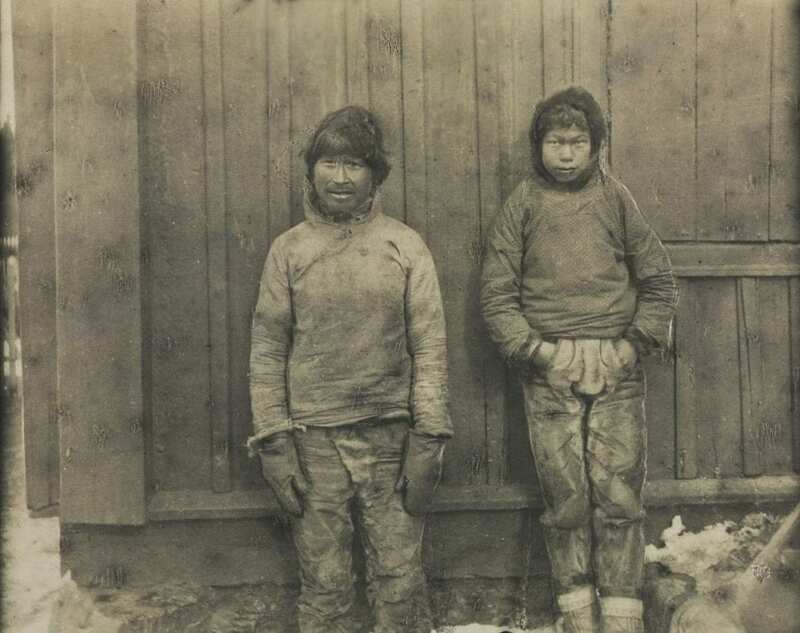 The two men, Kaala and Anaukaq, had families of their own – Kaala had three sons and two daughters; Anaukaq had five surviving sons – and their descendants are now travelers themselves, in addition to teachers, home-care workers, hunters and fishermen, machine operators and other trades, with some living in Greenland while others have branched out to Europe, Canada, the United States and beyond. It’s a complex place in history they fill: abandoned sons of explorers who stole from their people and never returned to visit or take care of them after a very young age. But family ties are vitally important to the Inuit, historically for their survival and currently because, well, they’re family and believe in standing by each other. But it can’t be easy to know the roots of their family trees are contaminated in such a way. Oh, about those claims of being first to the North Pole: While Peary claimed to be the first person to set foot on pole, another man, Frederick Cook, said he’d been there a year earlier. Peary and Cook knew each other previously, with Peary hiring Cook to be the medic aboard one of his other journeys. In 1911 the U.S. Congress recognized Peary’s claim, but later research indicated both men had fallen miles short of reaching the actual real and true North Pole. The one person we know for sure who can say they’ve actually, unequivocally been to the North Pole is Lieutenant Colonel Joseph Fletcher of Oklahoma, who walked out of a helicopter and snapped a photo there in 1952. And as for the fate of the meteorites: Josephine Peary sold them to the American Museum of Natural History for $40,000 in 1909, the equivalent of just more than $1.1 million in 2018 U.S. dollars. Ahnighito, the largest one, is on display at the Arthur Ross Hall at the museum in New York City.